Edgar Hallyburton was born on January 19, 1890, in Stony Point, North Carolina. He enlisted in the U.S. Army on Independence Day, July 4, 1909, and served first with the Coast Artillery at Fortress Monroe, Virginia, until July 1911. After being transferred to Galveston, Texas, for six months, Pvt Hallyburton returned to Fortress Monroe until July 1913. 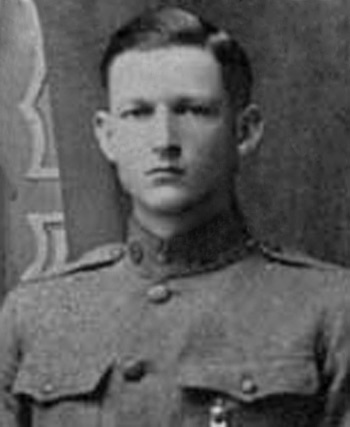 His next assignment was to San Francisco, California, where he transferred to the Infantry Branch and served until July 1914, followed by service at El Paso, Texas, from August 1914 to March 1916. He then joined in the Mexican Punitive Expedition led by Gen Pershing with Company F, 16th Infantry, where he served until deploying to France with the 16th Infantry as part of the American Expeditionary Forces in May 1917. Sgt Hallyburton became the first U.S. Military Prisoner of War during World War I when he was captured by German soldiers on November 3, 1917. He was held until the Armistice was signed at the end of the war, in November 1918. After the war, Sgt Hallyburton returned to the U.S. in December 1918, and received an honorable discharge in January 1919. Edgar Hallyburton died on February 26, 1945, and was buried at the Los Angeles National Cemetery in Los Angeles, California. 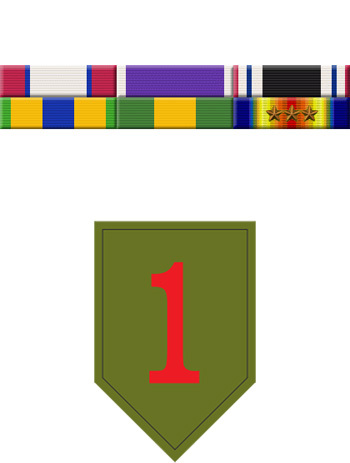 He was the first enlisted soldier ever awarded the Army Distinguished Service Medal, and is technically the first person authorized the Prisoner of War Medal that was created in 1988. The President of the United States of America, authorized by Act of Congress, July 9, 1918, takes pleasure in presenting the Army Distinguished Service Medal to Sergeant Edgar M. Hallyburton, United States Army, for exceptionally meritorious and distinguished services to the Government of the United States, in a duty of great responsibility during World War I. Sergeant Hallyburton, while a prisoner in the hands of the German Government from November 1917 to November 1918, voluntarily took command of the different camps in which he was located and under difficult conditions established administrative and personnel headquarters, organized the men into units, billeted them systematically, established sanitary regulations and made equitable distribution of supplies. He established an intelligence service to prevent our men giving information to the enemy and prevent the enemy from introducing propaganda. His patriotism and leadership under trying conditions were an inspiration to his fellow prisoners and contributed greatly to the amelioration of their hardships.